Thanks, and thanks again, Paul! 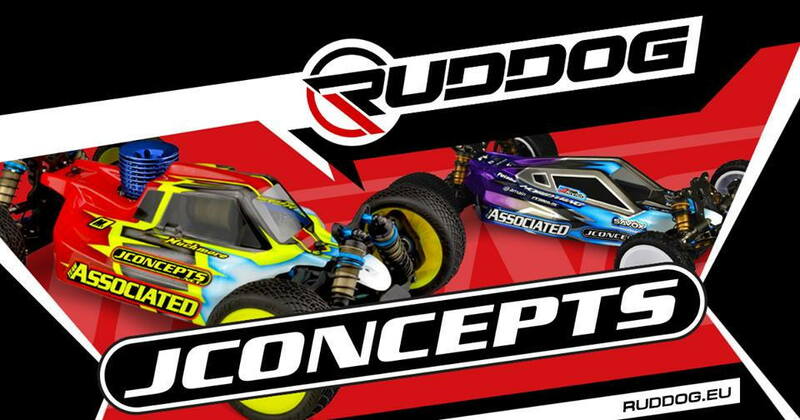 Ruddog distribution is pleased to announce that we have taken over the sales of the brand jconcepts for Germany and Austria. Founded by us company manager Jason Ruona, jconcepts has been working for innovation in terms of off-Road RC car bodies and tires as well as high-quality accessories for team associated and many more vehicles for years. Ruddog distribution attaches great importance to the first-class availability of all products and is looking forward to the upcoming collaboration with jconcepts. It's a great time to be in the hobby! any time frame when we might see an Ellipse for stadium truck. love this tire on my buggy. Production will most likely be end of Feb, early March. is there an update on this? Did production start as expected? How about them #3354 Monos? I do believe they have started production, but not sure ETA though. I believe they have shipped and expected first week of April, so 2 weeks. 1/4milecrazy and blueflagger like this. I just noticed the soft purple astroturf compound in the tire compound overview. Is it still in development? I'd love to see a real alternative to green Ballistic Buggy minispikes, especially as there is no stadium truck version available. Schumacher silvers are not bad in the wet, but not great either. Anyone have the J Concepts electric conversion parts that were made for the Associated 10GT? They sold out and probably won't make anymore. Glue on Outside Wall of Tire for Carpet? Following the JConepts carpet race at NW Hobbies I noticed in the AE Meet and Greet FB video by JC the cars appear to have tire glue on the outside wall of the tire. Is this true? If so, what’s the reason for doing so? Does it apply to both fronts and rears, 2WD and 4WD? Cain and Devin like this. A coating of Shoe Goo reduces sidewall traction,when you get into the boards. See the black marks on the yellow wheels. We used to do the same when we ran foamies to reduce chunking.